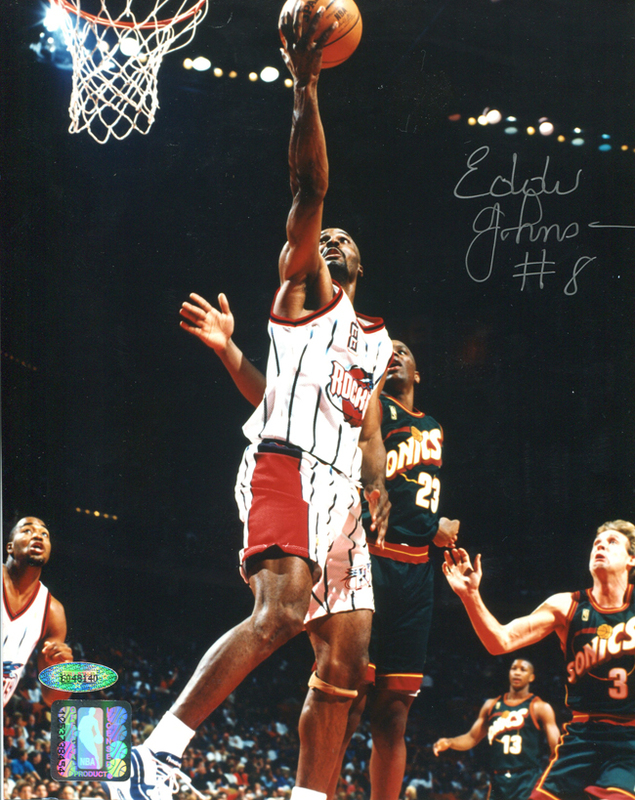 Eddie Johnson personally hand signed these Houston Rockets vs. Seattle SuperSonics 8x10 photos. Each autographed photo includes an individually numbered, tamper evident TRISTAR Authentic hologram. Eddie Johnson played 17 season in the NBA, and joined the Houston Rockets in 1997 before retirement in 1999. In Game 4 of the 1997 Western Conference Finals, Johnson hit the game-winning three-pointer in the final seconds to give the Rockets a 95-92 win over the Utah Jazz. The authenticity of your Johnson hand signed photo can be verified at www.tristarauthentic.com, where you can also print a certificate to display with your item.